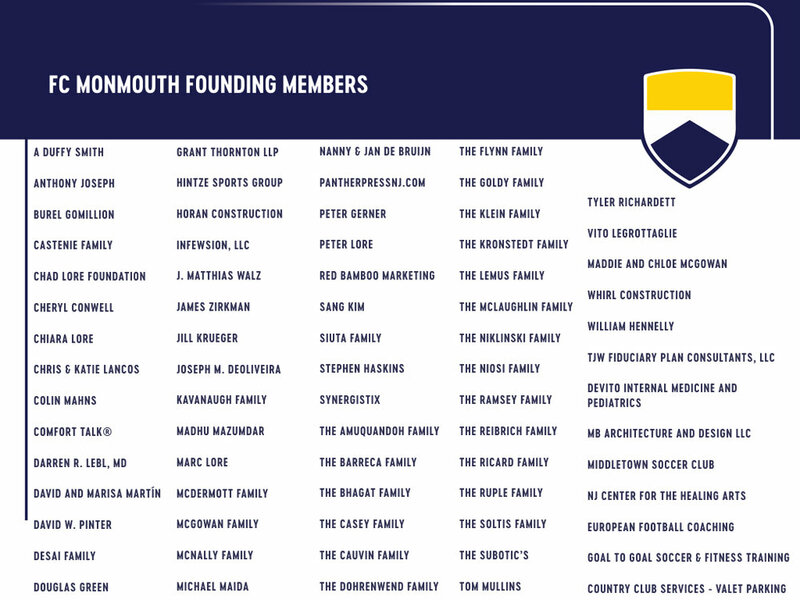 FC Monmouth is a men's soccer team representing Monmouth County, NJ. We play in the nationwide, semi-professional National Premier Soccer League. We bring top local players, rivalries, competitive games, memorable fan experiences, and our own team to be proud of, right to your backyard. In our inaugural 2018 season, we made the playoffs and went undefeated at home! We will be back in May 2019 - click here to see the full 2019 schedule. Join thousands of fans that supported us at home and away games in our inaugural season. You can buy a season ticket with discounts for all games or single game tickets for individual games either at the gate on game day or here on our website to avoid lines. Buy your FC Monmouth fan gear and come cheer us on at Count Basie Park in May! Sign up for our newsletter to stay up to date on the team, events, and developments in advance and during the season. Listen to our 2018 season podcast, re-watch our games, and follow us on Facebook, Instagram and Twitter. Thank you to our family, friends, and fans that got us off the ground in 2018. Enter your email address and stay up to date on the latest FC Monmouth news. Thank you for your joining the FC Monmouth newsletter! Follow us on social: Facebook, Twitter and Instagram. Click here to become one of our partners.